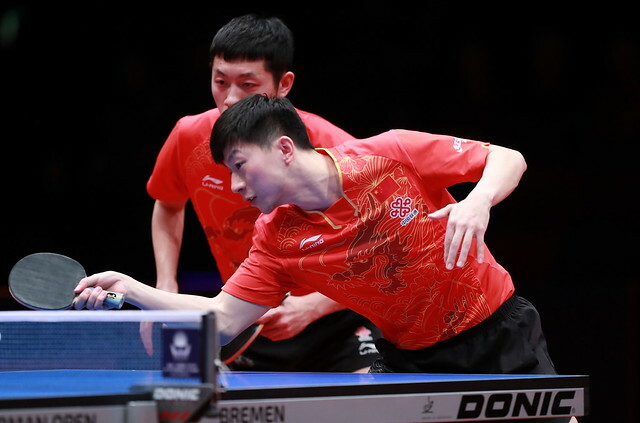 The second seed in Qatar but defeat at the quarter-final stage when facing China’s Zhang Rui, the champion elect; occupying the same position in Bremen at the Seamaster 2018 ITTF World Tour Platinum German Open, for Japan’s Saki Shibata, there were no such problems. On Thursday 22nd March, she emerged the winner of the Under 21 Women’s Singles event. At the final hurdle she beat China’s 16 year old Huang Yingqi in four games (11-6, 9-11, 11-9, 11-5) to arrest the title; notably Huang Yingqi, the no,24 seed, was very much a player in form; one round earlier, she had ended the hopes of Hong Kong’s Minnie Soo Wai Yam, the top seed (9-11, 12-10, 11-8, 14-12). In the counterpart semi-final Saki Shibata had accounted for colleague, Miyu Nagasaki, the no.11 seed and like Huang Yingqi born in the year 2002. Notably it was for Saki Shibata her sixth appearance in an ITTF World Tour Under 21 Women’s Singles final; if you add ITTF Challenge Series tournaments to the list, the total rises to nine. Conversely for Huang Yingqi it was a first. On the ITTF World Tour Saki Shabata had emerged successful in 2016 in Bulgaria and the following year in Australia; also in 2016 she was the runner up in Belarus and the Czech Republic as well as in 2017 in Korea. Last year at ITTF Challenge Series tournaments she won in Belarus and Thailand, whilst being the runner up in Slovenia. It is the 74th time at an ITTF World Tour tournament that Japan has secured the Under 21 Women’s Singles title; the number increases to 77 if you add the 2017 Challenge Series.